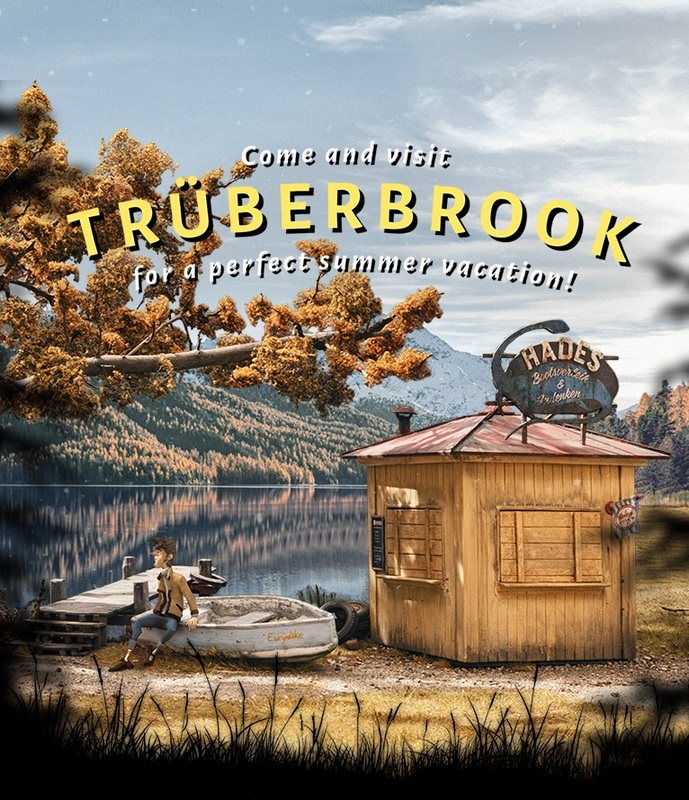 »Trüberbrook« is a thrilling mystery adventure game set in rural Germany in the late 1960s. 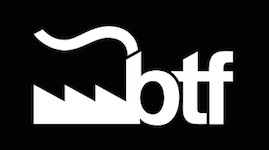 The player takes the role of young american physicist Tannhauser, who happens to end up in the eponymous village of Trüberbrook, an ageing but beautiful health resort somewhere in the densely forested countryside of West Germany. Tannhauser, while working on his PhD thesis, comes to Trüberbrook seeking to crack a tiresome mental block. But something in this town seems strangely spaced out – and instead of getting some rest, Tannhauser needs to do nothing less than saving the world. The superficial german homeland setting gradually evolves into a puzzling sci-fi mystery. Tannhauser teams up with Gretchen, a paleoanthropologist seeking to unravel the mysteries surrounding the village. He also bumps into the enigmatic inventor Lazarus Taft, a stranded traveler yearning for home. 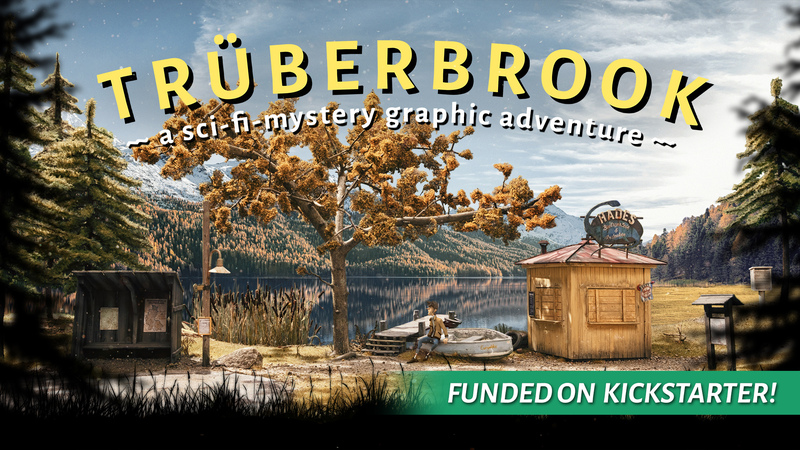 Gameplaywise, »Trüberbrook« is a somewhat classic point-and-click adventure game with a modern approach. 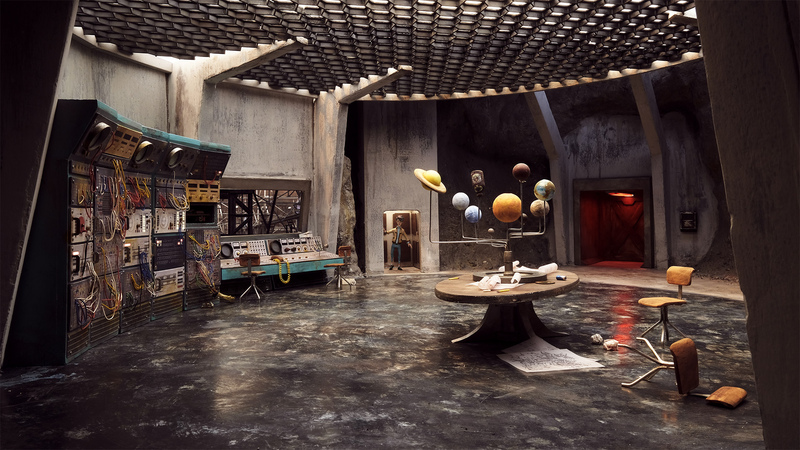 Mood and atmosphere of the game are inspired by TV series like »Twin Peaks« and »The X-Files«, also permeated with a subtle humor. The game mixes the German “Heimat” setting with a gripping sci-fi storyline, covering universal themes like love, friendship, loyalty, rootlessness, self-discovery and dinosaurs. 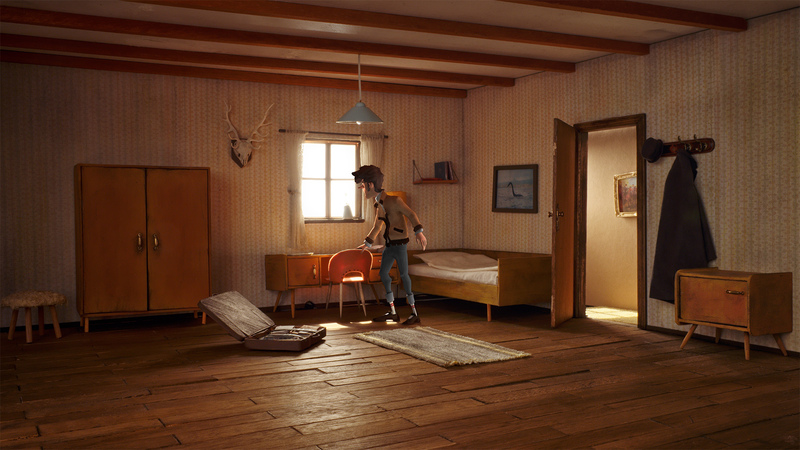 One of the most distinctive features of the game is it’s unique visual style: The whole scenery and all backdrops will be build as real miniature scale models, captured with a 3D scanner, digitally polished and then blended with animated characters, visual effects and set extensions.